You can read more about Brow Lifts by following this link. Can a temporal lift work just as well as a brow lift to lift the lateral part of the eye? Can a temporal lift work just as well as a brow lift to lift the lateral part of the eye? by Dr. Philip Young: Temporal | Forehead lifts work well laterally. It is dependent on who is doing the procedure and how it is done. You have to make sure that the structures that are holding the eyebrow down are release to allow the eyebrow to come up and then fixing it up there is important. The more that your surgeon knows the better. Pictures would be better for me to find out what you are talking about. Fat injections are another way of doing this in a minimally invasive way. 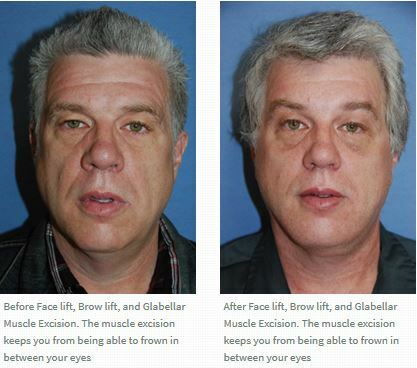 Click here to see more Browlift Before & After Images. or here to see more Brow Lift Learning Videos. Posted in Browlift / Eyebrow Lift / Brow Lift, Uncategorized | Comments Off on Can a temporal lift work just as well as a brow lift to lift the lateral part of the eye? Is there a permanent way of removing the vertical lines in between the eyes and eyebrows? Is there a permanent way of removing the vertical lines in between the eyes and eyebrows? 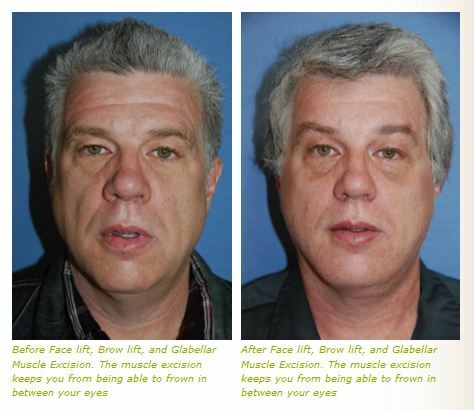 by Dr. Philip Young of Aesthetic Facial Plastic Surgery: Brow lift with muscle excision and / or fat grafting / injections can be a solution for long lasting removal of vertical lines. First of all there is nothing that is permanent. Permanent, IMO, suggests infinity which is not possible. But longer lasting results, instead of the results that you can achieve with botox toxin is possible. There are ways to carry out browlifts where you can excise the muscle in between your eyebrows to decrease your ability to frown in this area. I have a live video demonstrating this if you are interested below. Fat injections all throughout the forehead is another option that can be done alone or in conjunction with a browlift and muscle excision. Another better alternative is the YoungVitalizer to treat these lines in between your eyes. or here for our Brow Lift Before and After Photos. Posted in Browlift / Eyebrow Lift / Brow Lift, Fat Transfer / Fat Injections, Fillers / Facial Fillers, YoungVitalizer | Comments Off on Is there a permanent way of removing the vertical lines in between the eyes and eyebrows? 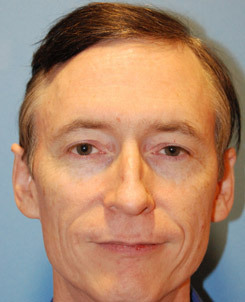 Short Forehead, a forehead that is about 2 inches in height. How do I increase this distance. Short Forehead, a forehead that is about 2 inches in height. How do I increase this distance by Dr. Philip Young: Brow lift could increase the height of your forehead but laser hair removal is another option as well. Most brow lifts will increase the height of the forehead by stretching the skin of the forehead through incisions placed behind the hairline. This depends on where the incision is placed. If the incision is behind the hairline (and endoscopic lifts) the browlift will increase the forehead height. Incisions placed right in front of the hairline (pre trichial) or within the hairline (trichophytic) all have a tendency to shorten the height of the forehead which for some is ideal. Also there is the option of laser hair removal to heighten the hairline. This something that you could discuss with your doctor. 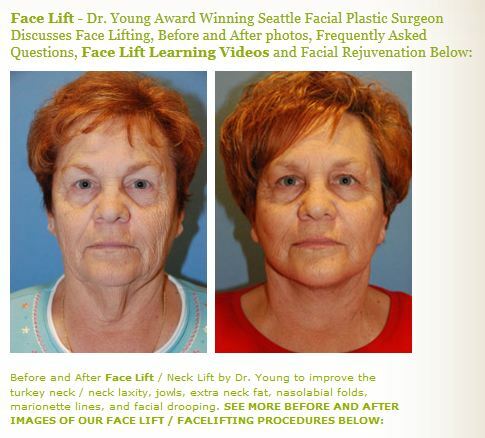 Click here for our Browlift Before After Images. Posted in Browlift / Eyebrow Lift / Brow Lift | Comments Off on Short Forehead, a forehead that is about 2 inches in height. How do I increase this distance. Numbness in the forehead can take some time to resolve after a browlift. Nerves often get stimulated and this can lead to dysfunction for a variable amount of time. At 10.5 months, this would start to get me thinking though. Nerves can grow about 1mm a day and you can calculate how long that will take to regenerate. At 10 months this seems long enough time for the nerves to grow back. Tingling would indicate that the nerves are starting to come back as well. Nerve regeneration can take up to a year or more. The longer it takes the less complete the regeneration will be in my experience and others. The swelling should be examined by your physician. Sometimes this could be scarring, nerve regeneration aberation, etc. 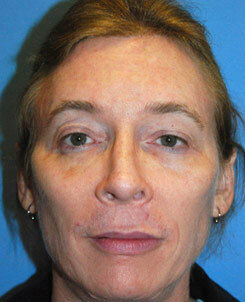 When you mention that the brow is slightly lifted at that side my first reaction is that this is what you want. I assume you mean that it is asymmetric to the other side. It can take a while for things to settle. After 6 months to a year, you could consider revising the lift and either lower the side that you are discussing or elevating the other side to match. One thing to realize is that every is different on each side of their face.